We’ve brought our Autocrat Coffee Milk Stout back in a brand new can just in time for #InternationalStoutDay! This beer is a unique collaboration between two iconic Rhode Island companies. A custom blend of Narragansett’s bittersweet milk Stout with dark, delicious Autocrat Coffee makes for a perfectly balanced beer that is more Rhode Island than Roger Williams himself. 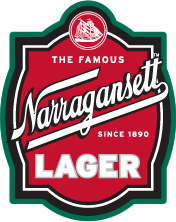 Since the 1890’s, Narragansett Beer and Autocrat Coffee have been home-grown Rhode Island favorites.